Una Marson, Jamaican poet, playwright and broadcaster, moved to London in 1932. She lodged in Peckham with fellow Jamaican Harold Moody, chair of the League of Coloured Peoples. In 1935 Una served temporarily as personal secretary to Marcus Garvey (who was resident in the UK at the time) and wrote occasional pieces for his Black Man newspaper. Una became a passionate advocate for the Ethiopian cause. The summer of 1935 found her at the information section of the League of Nations in Geneva. There, Una made contact with Tekle Hawariat of the Ethiopian delegation who, while applauding her offer to be of use in Ethiopia, directed her instead to return to London in order to work as a secretary for the Ethiopian Legation. 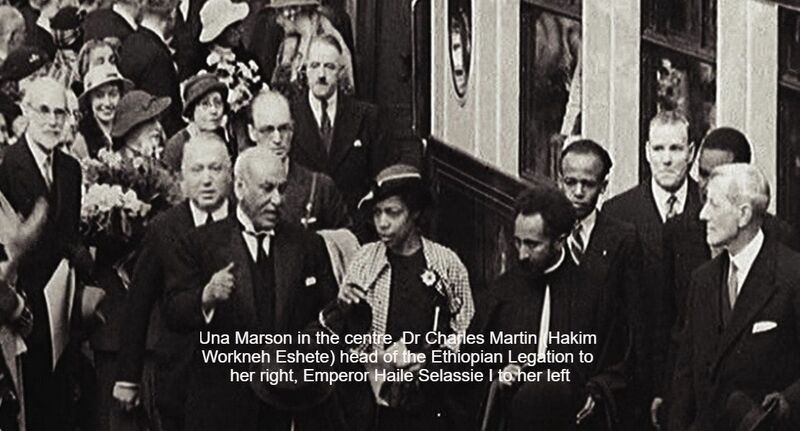 Una was also at Waterloo station to greet Emperor Haile Selassie I upon His arrival in June 1936 and was moved to tears at the sight. She met the Emperor again three weeks later and travelled once more to Geneva with Him to sit in the diplomatic gallery as He made His historic address to the League of Nations. During this time, Una was a member of the International Alliance of Women. 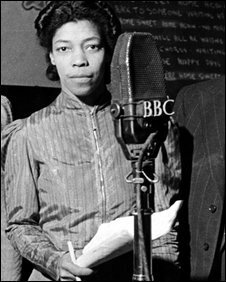 By 1938 she had become the first Black female programme maker at the BBC, and was famous for producing "Calling the West Indies" for the BBC Empire Service. I jes don't tink its fair.